The station is designed by a well-known architect, Bill Bensley. 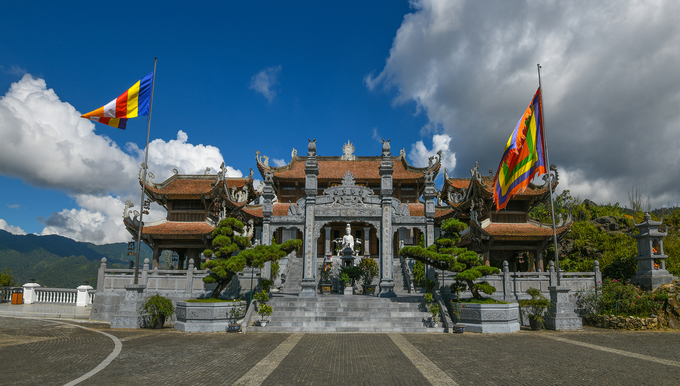 Its structure features European with variety of colors. 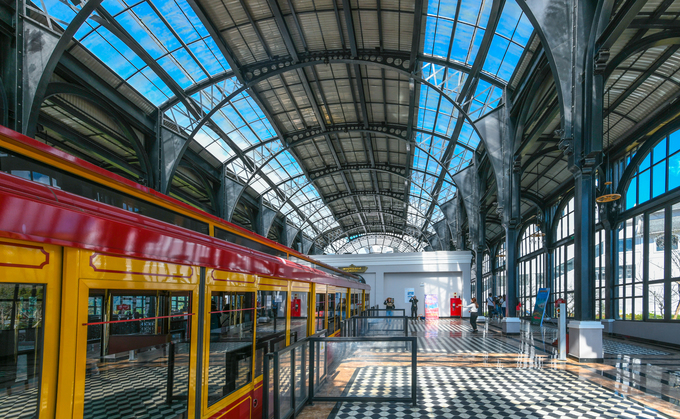 The purpose of these windows is to get more natural light into the station hall. 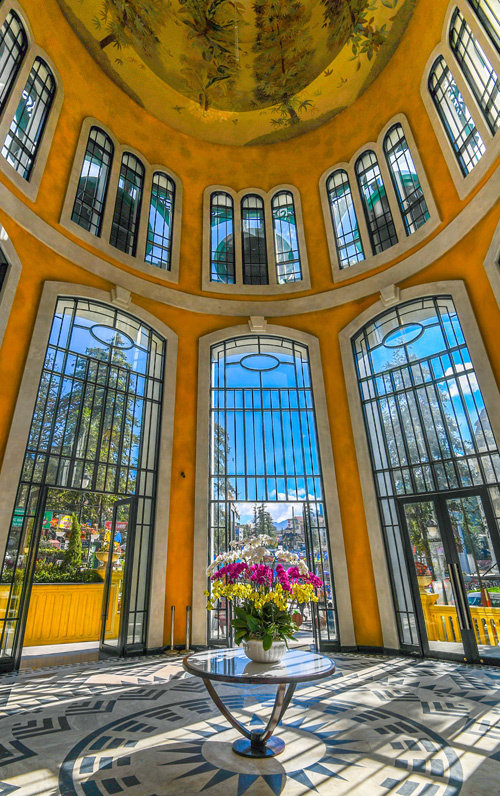 The arch roof has light spaces combined with floral decorations. 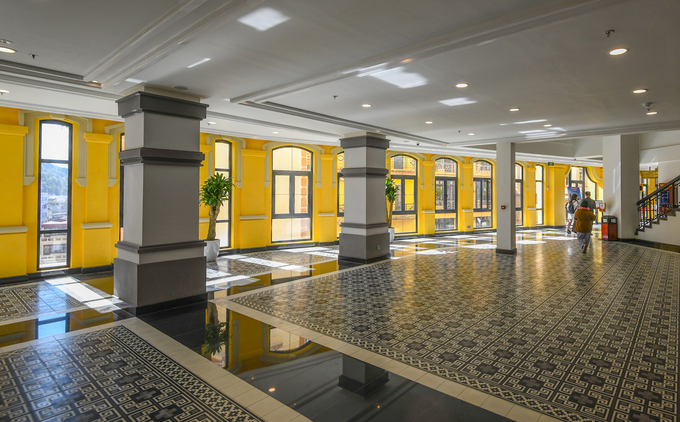 The hallway is located right at the center of the town. 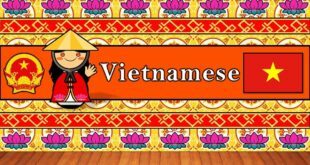 From now to 31st December, the price for round trip is 50,000 VND person. 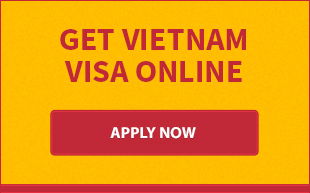 Previously, it’s 200,000 VND for adults and 150,000 VND for children. The train has 2 cars created by Garavena Company in Switzerland. Each car is 20 meters long, 3 meters wide, 25 tons weight and accommodate 200 passengers. 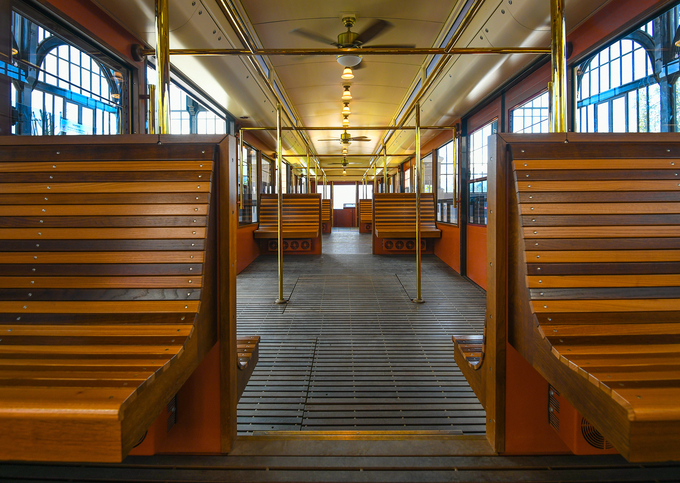 The entire interior carries traditional European design.The train is operated by a railway electrification system. 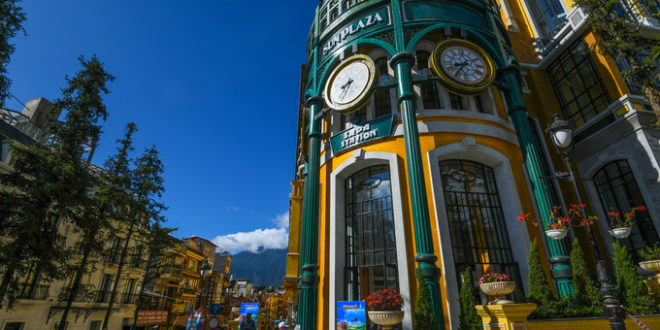 The ride takes 7 minutes for 2 kilometers from Sapa station to Muong Hoa station. 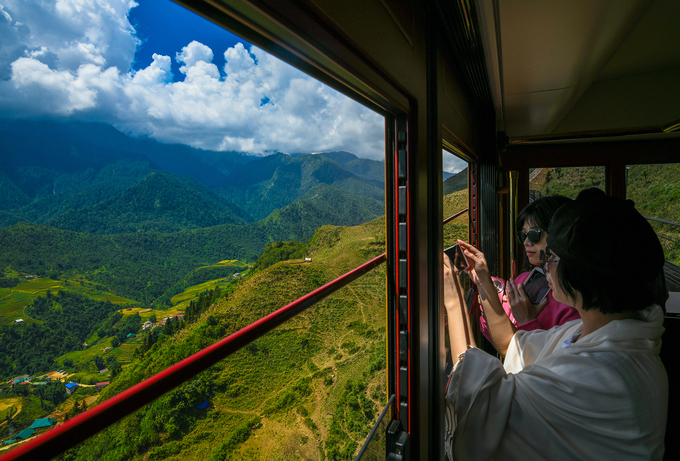 The train stops in the middle of the trip around 2 minutes for visitors to admire landscapes and take beautiful photos of it. 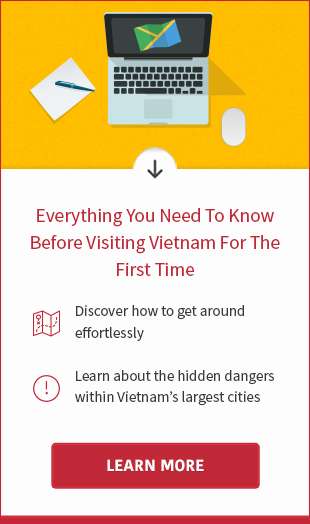 The final destination of the ride is Muong Hoa Sation. 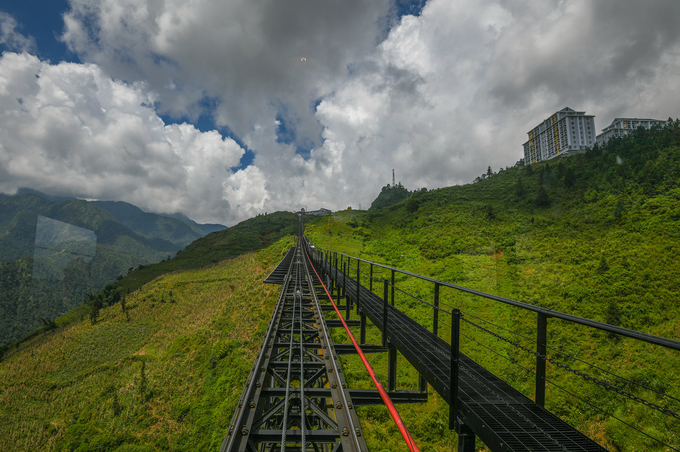 From here, the visitors can buy tickets cable car ticket to Fansipan or roam around nearby areas for unlimited time before coming back by train.